Home » Blog » Is My Cornea Thick Enough For LASIK? LASIK is perhaps the best option for vision correction among most people suffering from sight problems. It can correct issues such as nearsightedness, farsightedness, and even astigmatism. However, LASIK is a surgical technique that not everybody qualifies for. Things like age, pregnancy, lifestyle habits, and certain diseases can make the operation unsafe for an individual wanting to go through with the procedure, as they might with any other surgery. 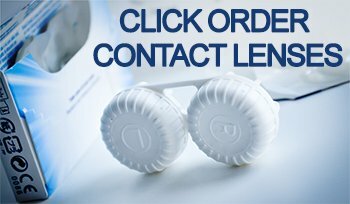 One limiting factor that is unique to LASIK, however, is how thick your cornea is. Your cornea is located right at the front of your eye, on the top layer. It is made up of several layers— the corneal epithelium, Bowman’s layer, the stroma (the thickest layer), Descemet’s membrane, and the corneal endothelium. The cornea is responsible for almost three-quarters of your eye’s focusing power. It is through reshaping this part of your eye that LASIK corrects your vision. This is done by first creating a flap in the top layers of the cornea so that the stroma can be accessed and reshaped. This reshaping is done by removing corneal tissue, which is the reason corneas must have a certain thickness. If the corneal tissue is too thin, the reshaping won’t be effective. When calculating how much material to remove, eye doctors use a measurement called a diopter to determine the focusing power of the lens, also known as their prescription. For every diopter of power that needs to be corrected, approximately 15 microns of corneal tissue is removed. There needs to be a certain amount of leftover tissue after the surgery, at least 250 microns worth of material in order for there to be a low risk of complication. To put that in perspective, it would take a thousand microns to make a single millimeter, or a million to make a full meter. The corneal flap must also be about 160 microns thick to help ensure a healthy recovery from the operation. While glasses and contacts are an effective way to deal with vision problems, chances are you’re looking for a permanent solution if you are researching LASIK. Fortunately, another surgery exists that can help! Photorefractive keratectomy, more commonly called PRK, is very similar to LASIK, but with a major difference. Rather than creating a flap that will later be placed back over the reshaped cornea, a surgeon performing PRK will remove the top layer entirely. The epithelium eventually grows back, usually within a few days. PRK is a fantastic option for those with thin corneas, though it does generally take longer to recover from as compared to LASIK. However, most patients agree that the change in lifestyle after vision correction surgery is well worth the wait. Although not everyone is a good candidate for LASIK or PRK, it’s important to talk to your eye doctor about what your options are first. To find out if you would make a good candidate for LASIK, set up a consultation with us today!